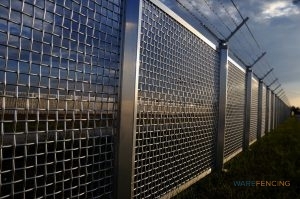 Security Fences Offer A Higher Level Of Protection Than Regular Fences. One of the main purposes of any fence is security. Whether we use them at home, at our offices, or on our properties, they are designed to offer protection. Some fences are used to keep animals in or out of your yard or to keep pedestrians from accidentally entering restricted areas. However, some fences are better designed to protect your property from unauthorized entry, and as a security fence supplier in Crowley and Fort Worth, TX, we can help you choose the ideal security fence for your home. As with many of our fences, there are many different types of security fence you can choose from, and each will offer its own benefits. 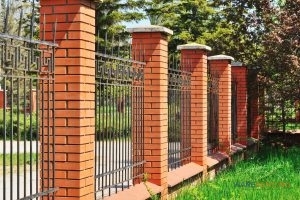 Particularly popular for increased security are our wrought iron fences. There are many benefits associated with this style, and style is one of them. With an iron security fence, your fence cannot be cut without special equipment and can be fitted with toppers designed to stop any potential climbers. However, a wrought iron fence defends your property in an elegant manner, that won’t obstruct your view of the property. Another popular choice for security are our electric fences, and these offer a particularly obvious benefit. If someone touches your fence, they will be shocked instantly. We also offer aluminum fences for security, which offer added durability, but a cost-effective price. For many homeowners, security is a number one priority, as it should be. If you are in the market for additional security from a reinforced fence, give us a call today at 817-948-4503 to get started. At Ware Fencing, we are a premier security fence supplier in Crowley and Fort Worth, TX and the surrounding areas for a reason. We offer a wide variety of materials and an extensive range of style options. No matter what kind of fence you need for your home, you can count on our expert installers to do the job right. Our security fences are ideal for homes, businesses, and large ranch properties as well! Whenever you need reliable fence installation of any kind, as well as fence repairs or replacements, our experts are ready to help! Updated on September 20, 2018 at 9:10 am by Ware Fencing.